Lemonilo co-founders: Ronald Wijaya, Shinta Nurfauzia, and Johanes Ardiant. For most people, having a healthy lifestyle is not easy, and for some, not even appealing —after all, fried chicken is tastier (and cheaper) than a bowl of salad, isn’t it? Lemonilo wants to change that notion. They want to prove that health, taste, and price can walk hand-in-hand, and that you don’t have to choose one over the other. In 2017, now-defunct health startup Konsula pivoted their business to healthy lifestyle marketplace called Lemonilo to answer a fundamental question on why it is so hard for Indonesians to have a healthy lifestyle. Apparently, the answer is food. Starting from food, Lemonilo’s marketplace now provides various products,from organic snacks, vitamins, to essential oils, mostly produced by local SMEs. As they grow, Lemonilo expands their business from only providing platform to sell goods to producing their own products. The entry point? Indonesia’s favourite guilty pleasure: instant noodles. While ‘healthy’ and ‘instant noodles’ don’t really go together, Lemonilo has their own reason. 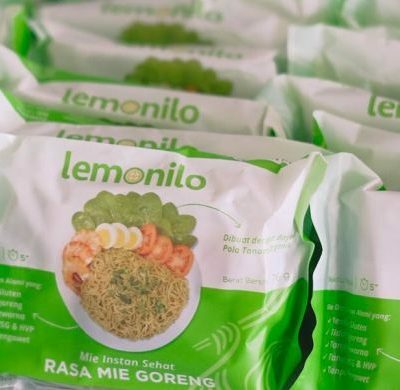 According to Shinta, Lemonilo’s noodles is the bridge to say to Indonesians that living a healthy life is not that hard —and Lemonilo is here to help them. 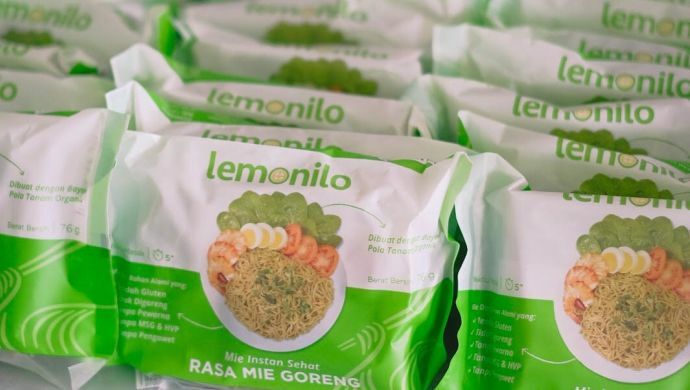 Beside noodles, Lemonilo currently has ten in-house products, from chicken stock to coconut oil, produced in-house and in partnership with local SMEs. Lemonilo applies strict regulations when it comes to their products. They make sure that any products under their label as well as those of other labels sold in Lemonilo’s marketplace do not have any one of their 150 banned ingredients, such as saccharin, artificial colors and artificial flavors. To make their products more accessible, Lemonilo also sells their products offline through 80 retail supermarkets, such as FoodHall, Ranch Market, and Grand Lucky, and their own Lemonilo racks located in co-working spaces. But access is nothing without the right pricing, and Lemonilo has found a way to provide quality goods with reasonable prices. In Indonesia, natural products can cost up to 200 percent higher than regular ones, but Lemonilo is on a mission to lower their product prices so people don’t have to think twice to living a healthy life.Their use of big data to create sales forecast and thoughtful planning make it possible to provide healthy food that cost only 30 percent higher at the maximum compared to the regular ones. “We make sure that the product sells perfectly online before we push it offline,” Co-Founder Shinta says. This year, Lemonilo has big target to achieve, from expanding their team, including adding more food technologists and nutritionists, to providing more affordable products and at least 20 in-house products. They have a goal to be a trusted brand that is healthy, affordable, and practical, not only in Indonesia, but worldwide. But in the meantime, Lemonilo is focusing on what they do best: being a helping hand to those who want to change, a friend that makes life better without giving any judgment. Learn more about Lemonilo here.